All-new Ford Focus ups its game, delivering better quality, more refinement and great handling. The new Ford Focus has improved in every aspect of its design and how it drives on the road. There's also now more technology on board, though it meets, rather than exceeds its closest rivals on this front. Nonetheless, the Focus beats all its competitors in terms of how it drives. Not only is this fourth generation Ford Focus entirely new, but it also bears more than a passing resemblance to its junior, the Fiesta. It is a much more refined design than before, with more flowing lines and less sharp angles - the latter long being a hallmark of the Focus. That sculpted bodywork makes it slippery through the air, lowering wind noise and improving overall efficiency. Adding another layer to the style of this Focus are more clearly defined models. In addition to the familiar Titanium and Zetec versions, there's a sporty Focus ST Line that gets reworked suspension and a more performance-themed body kit. If you prefer something more upmarket, the Focus Vignale adds a unique grille and lashings of chrome. Inside, there's a much-improved cabin design and for the most part better materials used throughout. Most models of the Focus get the new free-standing touchscreen, starting with a size of 6.5 inches and increasing to 8.0 inches on higher grade models. The design team have also reduced button count by half resulting in a cleaner layout. By opting for the automatic transmission, the centre console gains even more room as Ford now uses a simple rotary controller in favour of a traditional gear selector. The driving position is just right with forward visibility benefitting from the A-pillars moving back. The rest of the sightlines are good too, though we would like slightly better rearward visibility. On the upside, the reversing camera delivers a picture that is sharper than most. One of the areas of criticism in the third generation Focus was the limited rear passenger space, but this has been improved thanks to a 53mm stretch in wheelbase. The rejigging of the C-pillar design also lightens up the rear, adding to a better sense of spaciousness. There are several aspects where the new Focus is markedly improved over its predecessor. Firstly, the refinement levels have noticeably gone up to the point where it is one of the very best in what is already a continually improving segment. Ford admits to working hard to not only make it one of the most aerodynamic cars in its class, but one of the quietest, too. The three-cylinder 1.0-litre petrol engine, here driven in 125hp guise, now ranks as one of the most refined of its type. Often, three-cylinder engines can feel buzzy and emit a distinctive thrum, but neither of these attributes presents themselves in any noticeable way in the new Focus. It remains happy to rev freely and, under load, it has an overboost function that increases torque up to 200Nm for short periods, though 170Nm is the normal maximum output. All that means there is plenty of performance on tap to give the Focus comfortable cruising abilities on the motorway, and it does so with excellent levels of refinement. Only the slightest hint of wind noise around the door mirrors starts to creep in above 120km/h. Another new feature of this engine is cylinder deactivation. The good news is that you don't notice it functioning, proving its case as a worthwhile addition. For those unfamiliar with it, when the engine isn't under load (i.e. when you're just driving along on part throttle), one of the cylinders ceases combustion to cut down on fuel consumption. As soon as the engine needs it again, it fires back up immediately. While some may look at the capacity and dismiss it, it's worth keeping in mind that several key rivals, such as the Skoda Octavia and Volkswagen Golf offer similar sized engines, also to great effect. One of the strong points of this Ford unit is its elasticity and broad operating band, so it's happy to be left in third or fourth gear and still pulls strongly from low rpm. Ever since the first-generation Focus appeared two decades ago, the name has been synonymous with being one of the benchmarks for handling in the class. Over the years that lead was eroded as the competition caught up, but this new Focus once again performs admirably well. Lower power models get a twist beam rear setup that mimics that of the sportier Fiesta ST. Optionally, buyers can add adaptive dampers, but, given the cost - and capability of the standard suspension, as is - this is an option you can easily do without. Equally as good as the suspension is the steering, which is much improved. Gone is the strong self-centring and in its place is an electrically assisted setup that feels excellent to use. The car is easy to place on the road, with a consistent feel through the wheel. Keener drivers will appreciate the calibration of it even more we suspect. Full pricing for the new Ford Focus in Ireland is still to be announced, but when we have the full breakdown this section will be updated. What is likely is that there will be Titanium, Zetec, ST-Line and Vignale models available, with a crossover-styled Active version coming later in the year. Ford will also offer these in estate body styles. The new Ford Focus has improved significantly this time around, becoming the car we've expected the company to turn out. Classy styling, a much better interior and superb handling, backed up by a wide choice of engines, makes this one of the very best in the hatchback segment. 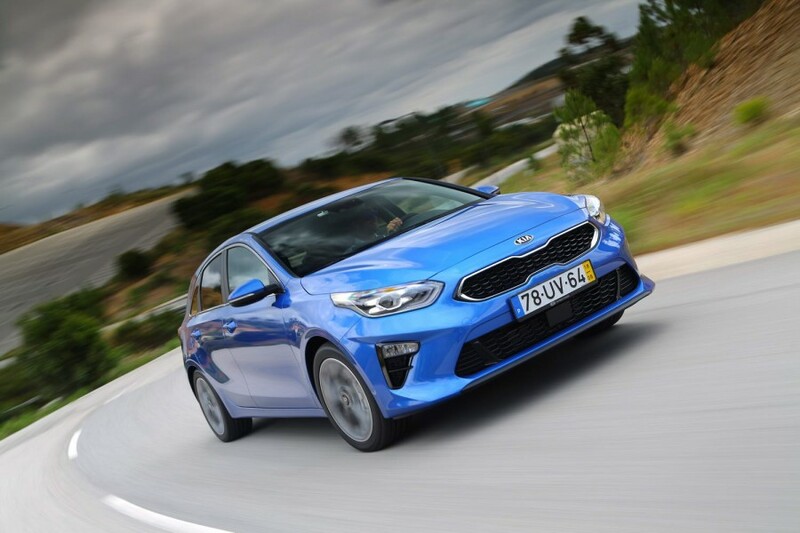 Kia Ceed vs. Ford Focus 1.0 EcoBoost petrol: also much improved inside and out, but it can't match the ride quality and on-road performance of the Ford. 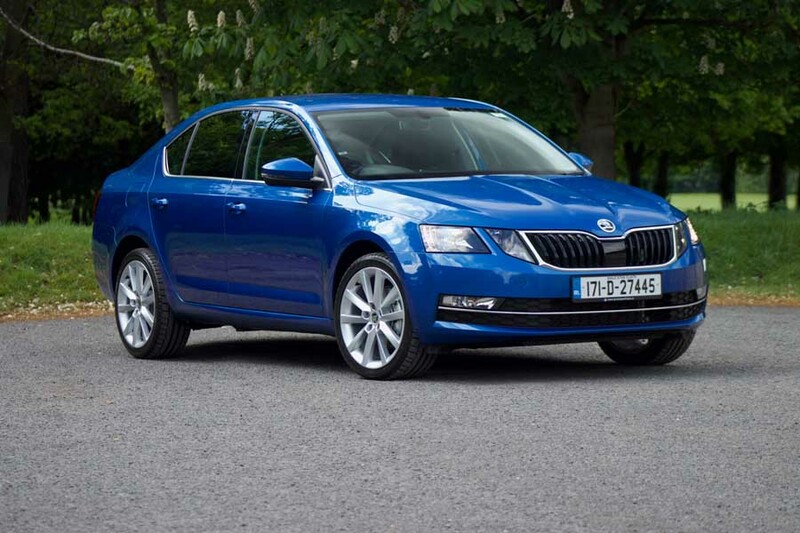 Skoda Octavia vs. Ford Focus 1.0 EcoBoost petrol: majors on space and value, but is admirably refined and comfortable, too. 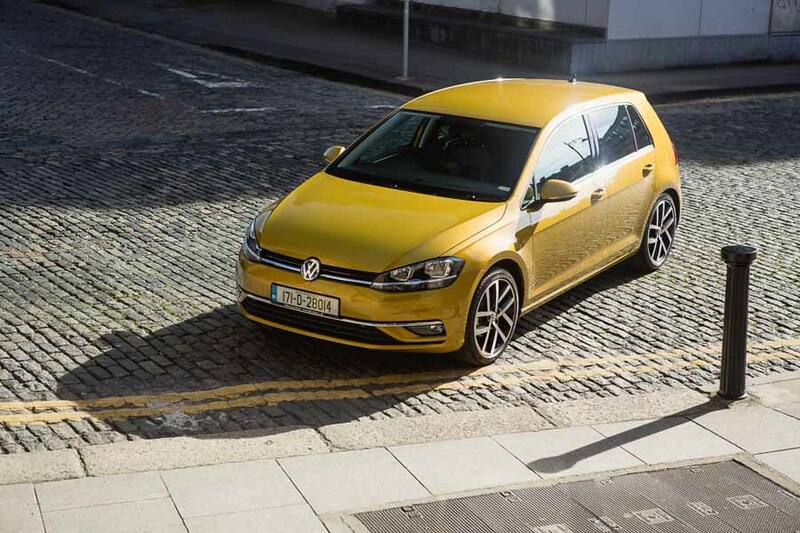 Volkswagen Golf vs. Ford Focus 1.0 EcoBoost petrol: still the overall benchmark for the segment, though the Focus now gives it a very close run.